Digital television deployments refer to progress and process of transition to digital broadcasting from terrestrial analog. In fact, this transition is a process which is happening at different stages regarding different worldwide countries. Even though satellite television is commonplace, this switch from terrestrial to digital cable television has taken longer time. It should be noted that not all countries are compatible with every digital television standard. For instance, North America uses DVB digital television standard while Japan and South Korea use ISDB standard. 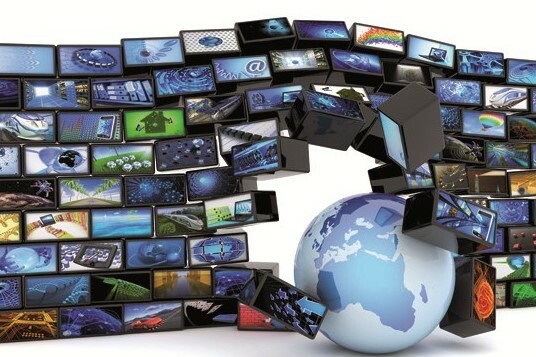 Countries which already adopted digital television standards may have a single MPEG4 system for both High-definition and standard-definition television. Other countries also may use MPEG4 for HD and MPEG2 for SD. There are also some variations when it comes to the middleware that is used by countries. For instance countries such as the United Kingdom, Italy and Ireland are DVB digital television areas, but on the other hand, Ireland uses for both HD and SD transmissions MPEG4 together with MHEG5. The United Kingdom uses MPEG2 and MHEG5 just for standard-definition television. They use MPEG4 and MPEG5 for high-definition television. Italy, for instance, uses MHP middleware rather than MHEG5. All MPEG4 receivers can decode the MPEG2 it means that all DVB-T2 tuners can tune DVB-T signals. In other words, the UK set-top boxes are in fact compatible with UK SD systems as well as with Irish HD and SD systems. However, Irish HD and SD tuners can work only with the standard-definition system that is used in the United Kingdom. In fact, currently digital broadcast tends to be either DVB-C o very similar to QAM which is found in almost every country. On the download path broadband is almost always DOCSIS that is DVB-C. When it comes to the buying a new TV or set-box online, it’s important to find a compatible product. Incompatible products are in fact a severe problem in digital markets in cases when neighboring countries use an older standard which also dominates country’s retail trade. For instance, UK Freeview is used rather than Freeview HD in Ireland. The Essential standards are UK Freeview, UK D-book and Nordig 2.2 for Ireland and Scandinavian countries. Ireland sometimes deviates from using Nordig, and they use UK profile MHEG5 rather than MHP. A high number of worldwide countries already terminated their terrestrial analog signal including most of the European countries, African countries including Morocco, Botswana, and South Africa. Most Asian countries use digital television standards including China, Japan, Cambodia, and Indonesia. Canada, Mexico, and the Unites also terminated their terrestrial analog signals. Ако имате някакви въпроси, не се притеснявайте да ни пишете. © 2019 Digital television. Built using WordPress and OnePage Express Theme.